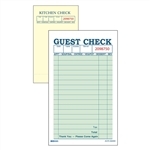 Daymark Guest Check Bond 1 Part - 3.4 in. x 6.7 in. Daymark Paper Cash Tape - 165 Ft.
Daymark Thermal Paper Tape - 200 Ft.
Daymark 1 Ply Paper Cash Tape - 165 Ft.
Blue Finger Cots for First Aid Kits. Dome 125 Shelf Life Label - 2 in. x 3 in. Grip2Go Pastry Bag - 21 in. Grip2Go Pastry Bag - 18 in. 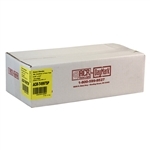 Thermal Register Roll - 200 Ft.
PipingPal Plus Pastry Bag Roll - 12 in. Label Item Date Use By - 2 in. x 2 in. 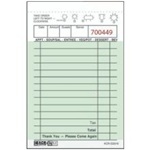 Label Use By Shelf Life - 2 in. x 2 in. Daymark Food Safety Systems provides efficient, economical, and innovative ways to label in compliance with Federal Food Codes. Since 1997, DayMark has been an innovator in the labeling field, with the introduction of the Dissolve-A-Way labels. The wide variety of items ensures you will find what you need.